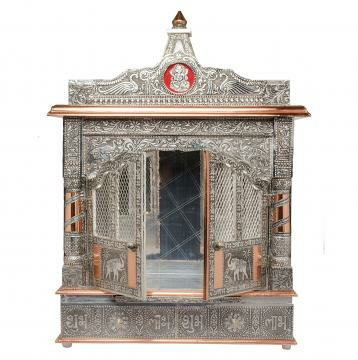 This item in Puja Mandir for Home category was first added to our catalog on 06-15-2015. 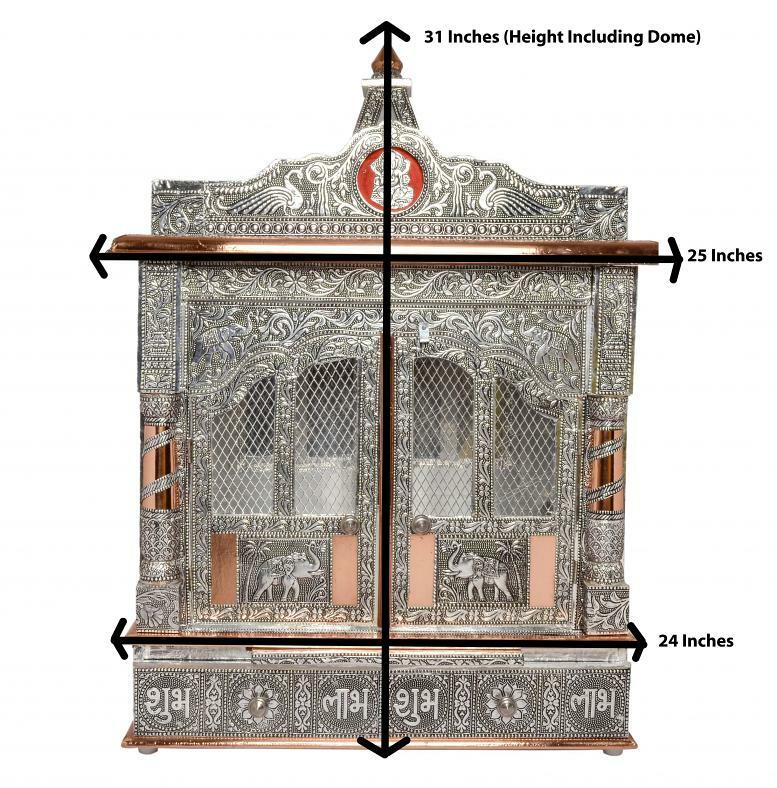 Buy Hindu Puja Mandir/Temple, Indian Religious Altar w/ Doors 25 X 10 X 31, sold & shipped by Movie Time Video where you can shop online for Pooja Mandir, Bajot, Gifts, Hindi Movie DVD / CD, Music Video. 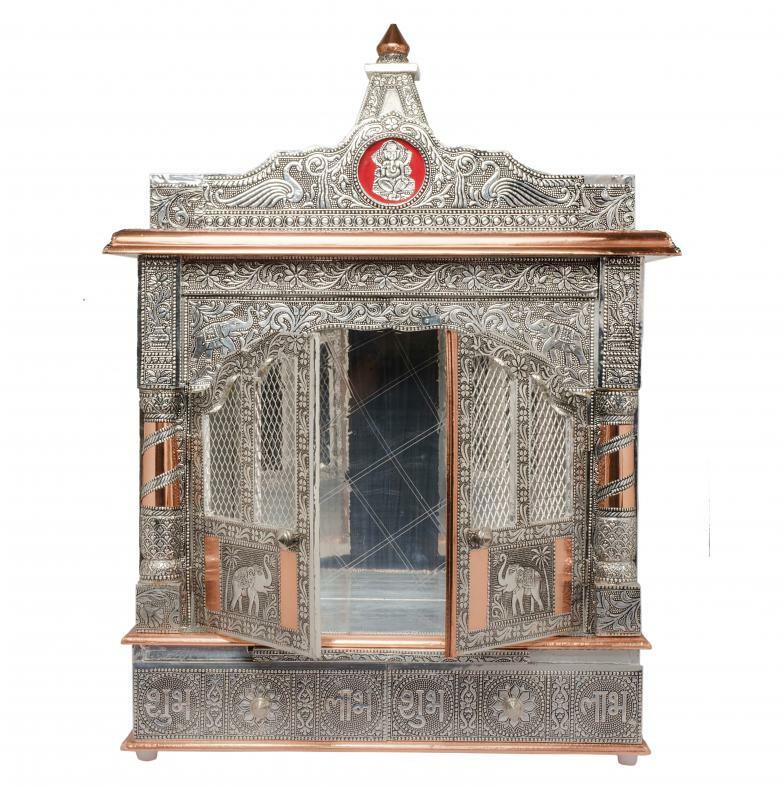 This Oxidized Pooja Mandir collection has been tagged as Spirituality Religious, Small Pooja Mandir, Temple For Puja Room, Artisan Crafted Indian Handicrafts, Hindu Religion, Ganesha, Laxmi, Shiva, Krishna, Buy Pooja Temple, Mandir, Altar, Shrine, Menakari, Hindu Religion,pooja Mandir, Buy Pooja Temple. Can it be mounted on a wall? Yes, this can be will mounted but only with expert installation due to the nature of the walls in US.